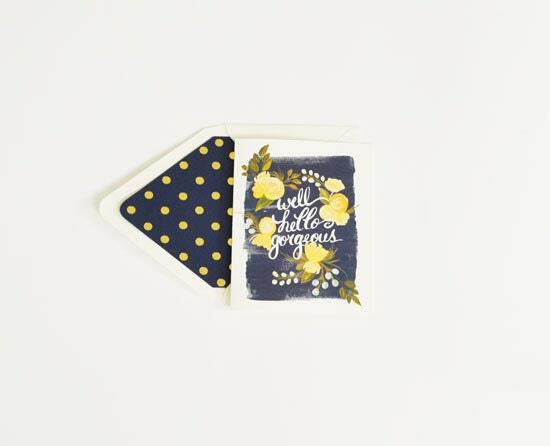 Send your girlfriends a sweet note in style with this greeting card in golden yellow/navy pairing. Loving these colors together! Checkout our art print that matches this! Would be a nice companion to this note card!